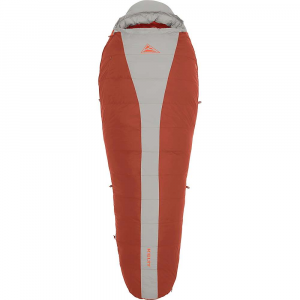 Kelty Tuck 0 Degree Synthetic Sleeping Bag- Combining comfort and value, the Kelty Tuck 0 Degree Synthetic Sleeping Bag retains warmth and compresses easily for quick packing. 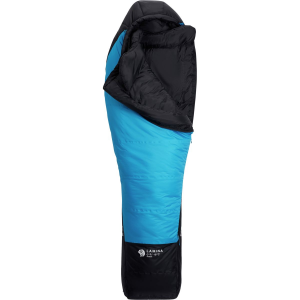 Thanks to ThermaPro Ultra synthetic fiber insulation and the comfort tuck zipper to let your feet out, this sleeping bag provides excellent heat management. 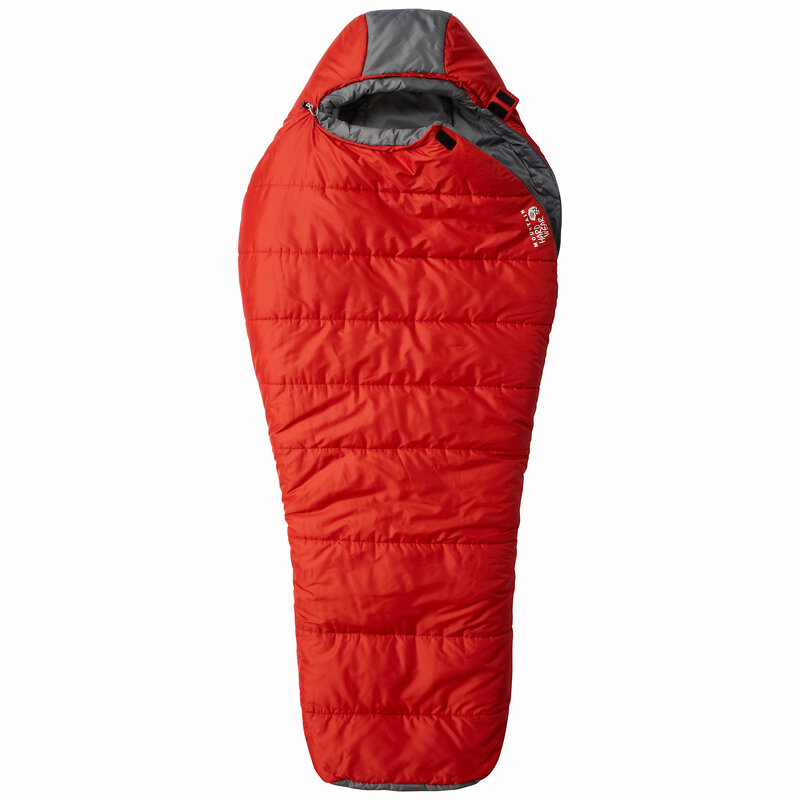 Kelty Camp & Hike Tuck 0 Degree Thermapro Ultra Sleeping Bag Dark Shadow/Cinnamon Long 35425618LR. The Comfort Tuck zipper offers superb comfort and ventilation when needed while the added shoulder room and an improved hood keep you warm and comfortable for a superior night's sleep. Slip in to the Kelty Tuck Sleeping Bag: 0 Degree Synthetic on a cold night of camping for at home comfort and warmth. The ThermaPro Ultra synthetic insulation traps your body heat with impressive loft even if it gets wet. The long zipper with a draft tube and anti snag design makes getting in and out quick and easy, plus as an added bonus it can unzip from the bottom to let excess heat sneak out. 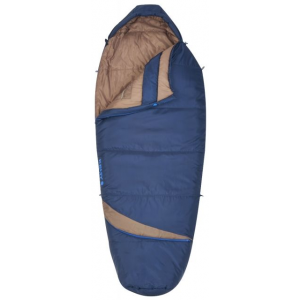 To further boost your comfort this mummy shaped bag boasts a little extra room for tossing turning in your sleep, a durable polyester outer for daily use, and a dual adjustable hood to trap extra heat. 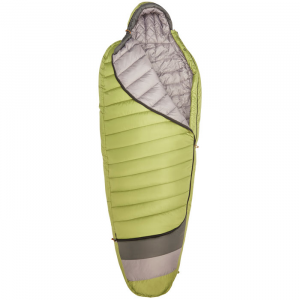 Slip into a new dimension of comfort at camp with the Kelty Tuck 0F ThermaPro Ultra Sleeping Bag. The fully-featured, smartly-designed mummy bag has been built for added comfort. Filled with ThermaPro ULTRA synthetic fiber insulation, it retains warmth and compresses more easily than traditional bags. With the anti-snag, comfort-tuck zipper, you can easily push one or both feet out on warmer nights or keep it zipped tight for toasty toes when the temperature drops. The thermal comfort hood, with dual draw cords, makes this bag a great way to enjoy some well-earned shut-eye. Durable water-repellent finish sheds off moisture and condensation. Made of 75-denier polyester taffeta. Imported. Color: Dark Shadow/Cinnamon. Cancer and Reproductive Harm- www.P65Warnings.ca.gov. Color: Dark Shadow/Cinnamon. Gender: Unisex. Type: Mummy Sleeping Bags.